Archbold Biological Station is very grateful for a generous gift from the Adrian and Jessie Archbold Charitable Trust for $2.5 million for the development, design and construction of an expansion –the Frances Archbold Hufty Learning Center and Adrian Archbold Lodge, which now allows the Station to host more research and educational opportunities plus give the Highlands County region a model for a state-of-the-art, “green” certified building. Frances A. Hufty was the sister and Adrian Archbold was the brother of Richard Archbold, founder of Archbold Biological Station. The two components—the Learning Center and the Lodge were constructed just north of the Station’s current historic campus buildings, on land that was cleared originally in the 1930s. The decision to expand the Station stemed from the desire to better serve the community by enhancing educational opportunities not only for academia, but for general public and for K-12 groups. The Learning Center addresses key Archbold educational and outreach priorities, while the Lodge focuses on meeting the demand for additional overnight accommodations for visiting researchers, college classes, workshops, and meetings. Designed to integrate the outdoors with the indoors, the Learning Center is approximately ~5,700 sq. ft. in size, with an additional ~3,700 sq. ft. of partially screened, outdoor covered space. It consists of several smaller structures under one overarching roof, housing two meeting rooms, public restrooms, Education Department office, a permanent K-12 educational exhibit/interpretive display area, informational kiosks, and a lobby which functions as an additional venue for social events. “The primary purpose of the Learning Center is to provide a dedicated venue at Archbold for the thousands of schoolchildren, student classes, and agency, not-for-profit, and scientific meetings held annually at Archbold.” Visitors are introduced to Archbold’s scientific work, and conservation activities; the new building serves as a portal to the Florida scrub - inviting visitors and guests to walk out and explore the plants and animals of the threatened Florida scrub ecosystem that lies along a new Nature Trails leading from the building. Linking these experiences with critical learning goals in science, engineering and mathematics is a crucial aspect of developing interpretive materials for K-12 students. Alex Griswold, Archbold Trustee, notes that “we are particularly interested in incorporating new technologies that are accessible and familiar to our younger visitors that will be born out of the ideas of this generation and fun for them too”. As a “green” building located in the midst of one of the nation’s premier natural areas, the Learning Center provides visitors with the unique opportunity to compare conditions for humans in the built environment—Learning Center—simultaneously with conditions in the surrounding ecosystem—scrub —for plants and animals,” states Hilary Swain, Executive Director of Archbold. “Visitors will be able to link responses in the natural environment with their decisions about sustainable living in the built environment.” The goal is to understand how wise choices about developing and occupying the built environment, can reduce impacts on our natural ecosystems, both locally and globally. To meet the increasing demands of visiting researchers, college classes and professional groups, the Lodge is a 2-story facility, ~5,100 sq. ft. in size, with ~2,500 sq. ft. of decking, containing 14 bedrooms with the capacity to sleep up to 41 guests. It features a separate Living Room for small meetings, studying or simply relaxing after a day of fieldwork. The Lodge provides an atmosphere of quiet contemplation for visiting guests. The concurrent purpose of the Frances Archbold Hufty Learning Center and Adrian Archbold Lodge is to be a “model” for the region, showcasing the significance of sustainable buildings. Our goal for the Center was to be certified as a Leadership in Energy and Environmental Design (LEED) platinum building, this highest ranking is achievable. This honored was awarded in January 2012. 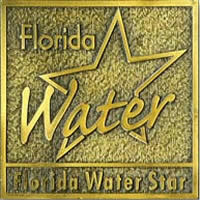 We were only the 12th LEED Platinum building in the state of Florida. "LEED is the national accreditation system for ranking green buildings. Most of our green building goals were met by clever design – aligning the building and windows to maximize the use of natural lighting and reduce heat loading, so we can lower energy consumption to 55% below that of a typical building of the same size. The use of solar water heating panels, and capturing and recycling water, are other conservation methods we implemented in the Center,” Executive Director, Hilary Swain explains. Archbold Biological Station was honored to receive a green building planning award from the Kresge Foundation specifically to assist with the additional costs of designing for a platinum level building. 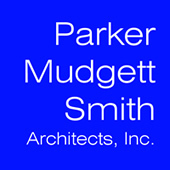 Parker/Mudgett/Smith Architects, Inc., out of Ft Myers, Florida, designed both structures. Jeff Mudgett was the lead architect and was involved with the project since inception. Designs were also formed by initial planning workshops with the Rocky Mountain Institute from Boulder CO, worldwide authorities on sustainable design. WilsonMiller Stantec, with an office in Sebring, oversaw civil engineering, surveying and landscape design. The Construction Manager and General Contractor was Owen-Ames-Kimball, Inc. of Ft. Myers. Cross Creek of Gainesville performed the enhanced commissioning for LEED. In addition to the generous gift from the Archbold Charitable Trust, Archbold Biological Station is deeply appreciative of a $300,000 award from the National Science Foundation, and $100,000 from the Kresge Foundation, as well as grants from the Southwest Florida Water Management District and South Florida Water Management District, and the State of Florida Department of Historic Resources for interpretation, as well as generous donations from private sources. Community support is always welcome. Archbold is still in need of funding and there are a range of sponsorship and naming opportunities available. Please join in this exceptional program to set the stage for the next generation. Contact the Director of Development at 863-465-2571 Ext. 277. Archbold anticipates many possibilities for volunteers and docents to help with welcoming guests and with interpretative programs. Contact the Executive Assistant at 863-465-2571 Ext. 251.